This past Saturday night, we were blessed with two new dedicants, Kyla and Chelsea. They dedicated to our coven during a beautiful dedication ritual, and we already can feel the energy they add to our coven family. Blessed be! 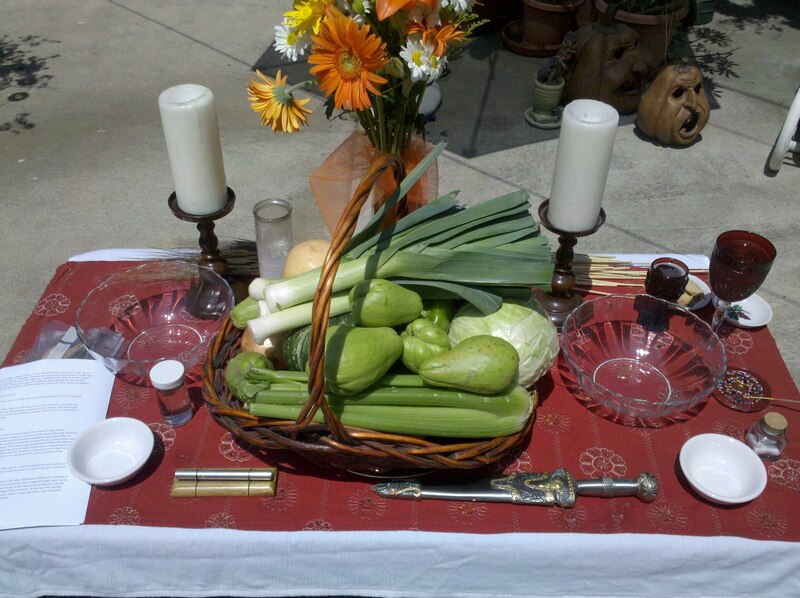 I haven’t been able to get my photos off of my phone and onto my computer- still, I wanted to write a short blog about our Lughnasadh ritual. 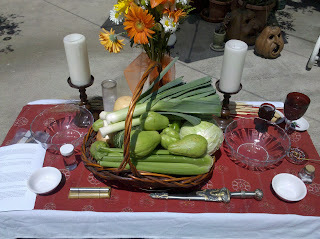 We had our open Lughnasadh ritual a few weeks ago, on a Saturday afternoon, and it was a blast! Our friends and family were all invited, and we had about 25 people there, including spouses, and children! Prior to the ritual, all were invited to make Corn Dollies, which were then blessed in the circle. Traditioanlly, corn dollies were made with the last sheaf of wheat harvested. The wheat was fashioned into a dolly or other symbol, and then kept safe, ensuring a plentiful planting in the spring. The main theme of the ritual was the First Harvest, and as part of the first harvest, we asked everyone to bring one vegetable. During the circle, we raised positive energy and sent it into the vegetables, which were later made into soup by our resident kitchen witch, Beth. We had a sumptuous potluck feast, with everything from dip to cheese, to dates, to sweets, and of course, bread- a staple of any Lammas/Lughnasadh circle! We thank everyone who made it out for our circle, and we hope to see you again at our open Yule celebration! Last night, Aislin was elevated to second degree! She's worked very hard to earn it, and is looking forward to her journey to third degree. Congratulations, Aislin!